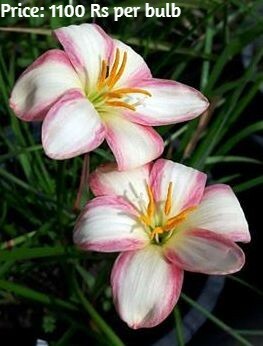 Today I will be presenting some of the hybrid rain lilies for sale because lot of fans of my page are insisting me sell these rare plants. 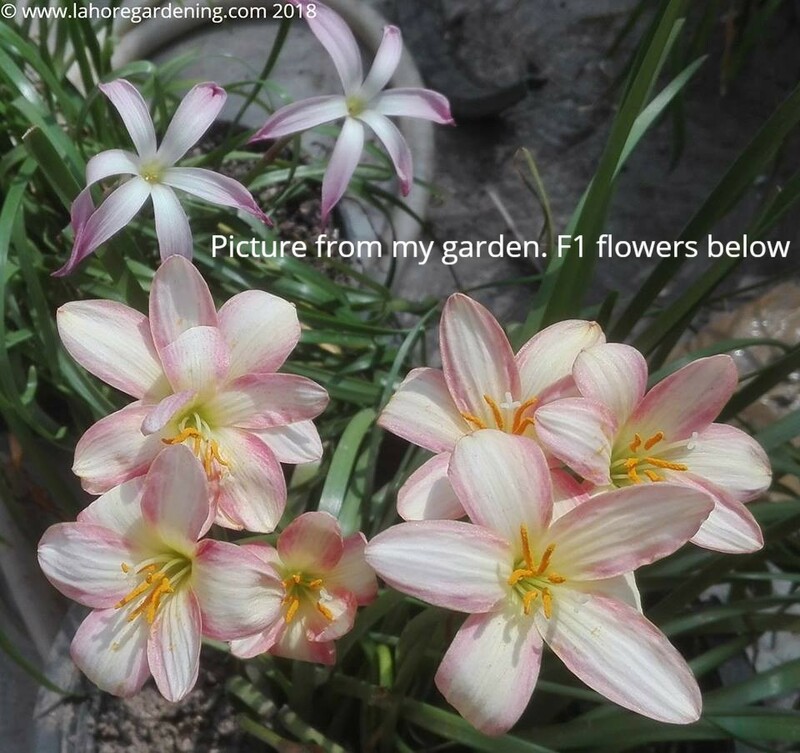 I am growing rain lilies and specially hybrid ones for last couple of years. These are some very tough plants which thrive on neglect. They are not affected by pest, disease, over watering, drought, full sun, semi shade, they just keep going and going. On top of that, they multiply as well. They grow in pots very easily, in fact almost all my rain lilies are in pots. Here are some of the hybrid rain lilies I am offering for sale. Price of “F1” is 1,100 Rs per flowering size bulb. 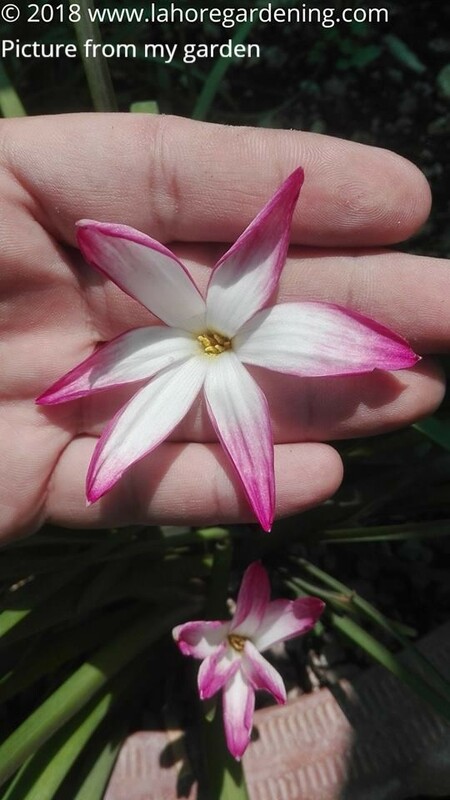 This is very free flowering bulb, you can see the pictures from my garden. The color intensifies as the bulb gets mature with age. 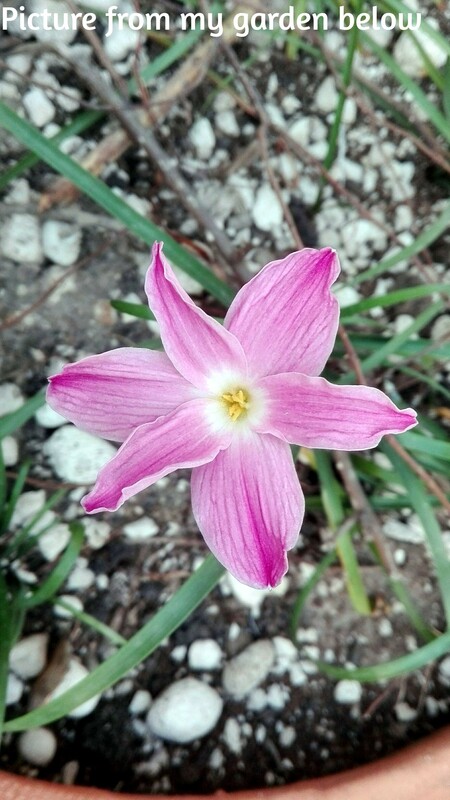 This is from the famous zephyranthes labuffarosa group. This group has lot of variation. This is also one of the free flowering variety in my collection. 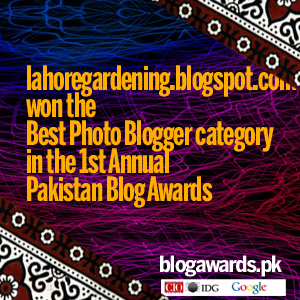 One of two flowers are always in bloom whenever i visit my rooftop garden. Price of “Summer Chill” is 800 Rs per flowering size bulb. 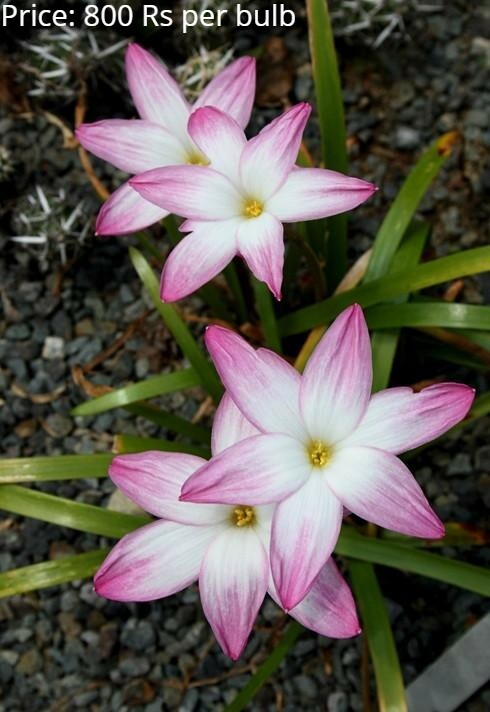 This is from the famous zephyranthes labuffarosa group. This group has lot of variation. 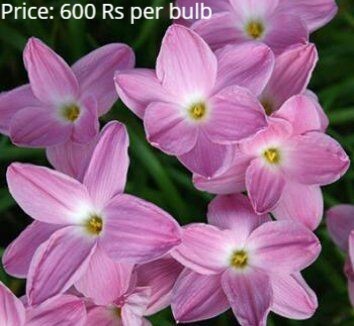 Price of “Pink Panther” is 600 Rs per flowering size bulb.